I’ve gotten many, many questions about Stitch Fix over the past year and was hesitant to post about it again because it has been somewhat hit or miss for me. However, because of all the questions I’ve gotten, I decided it might be helpful for me to write another update with more information and share some additional tips that I’ve learned that might be helpful to some of you. Back when first launched, a few of my friends signed up for it and loved it. Based upon their recommendation and my husband’s encouragement, I tried it out. That was a few years ago and I wasn’t thrilled with what I got in my box. I decided that just wasn’t for me and was happy to leave it at that. However, when a friend invited me to go with her to a Stitch Fix Influencer’s Dinner here in Nashville. I decided to go — mostly because I was honored to be asked and I was hopeful that I’d meet some other local bloggers at the event. So I really put some time and effort into making sure my profile had very specific directives on it and I set up a Pinterest board with some outfit ideas. I was so excited to get my box in the mail. Unfortunately, I was once again very disappointed. You can see what I got in that box here (I ended up sending everything back). 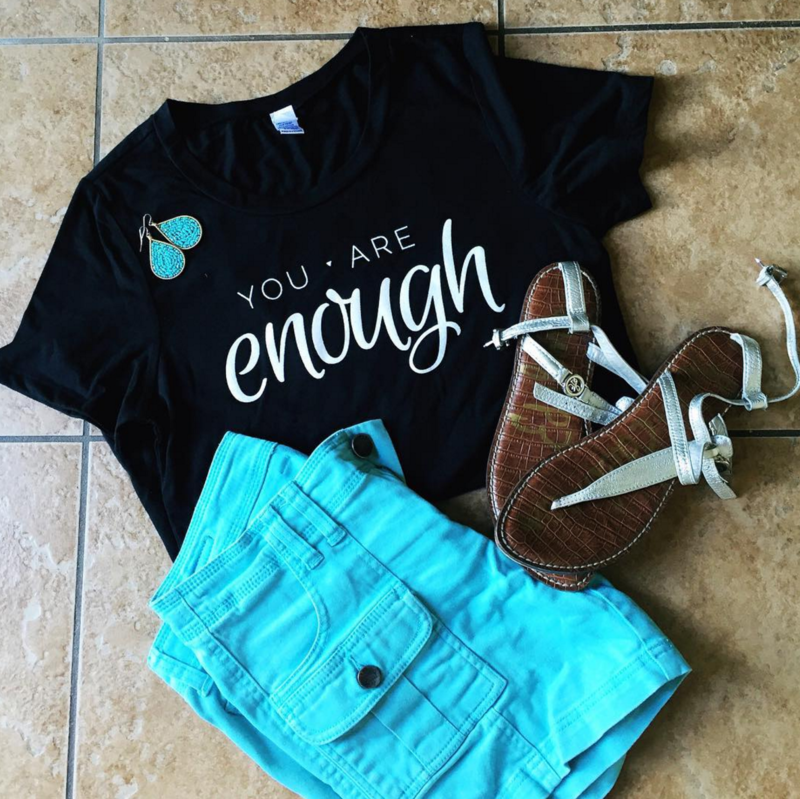 I had earned some Stitch Fix credit and had gotten some tips from people who have had success with Stitch Fix on how to have more success with your fixes, so I decided to try again. I didn’t keep my hopes up, but was pleasantly surprised when I actually loved one of the pairs of pants they sent to me. Since then, because I had some more credit to use, I’ve gotten a few more boxes and had more success — mostly when it comes to jeans and shorts. But I’ve also gotten a few shirts and dresses that I’ve loved, as well. Make Sure You Fill Out Your Style Profile Carefully — Be really, really honest in your style profile. Make sure all your sizing and preferences are absolutely accurate. Request a Stylist — If you know someone who has gotten fixes that you especially love, you can ask them who their stylist is and you can request that they assign the same stylist to you. No guarantees, but I’ve heard of this working for people. You can also request to have the same stylist you had last time (if you liked them) or a different stylist (if you didn’t like what they chose). Leave a Note For Your Stylist — Please do this. Tell your stylist exactly what you are looking for and what you aren’t looking for. They do read these notes and try to honor them. Give Incredibly Honest Feedback — Seriously, don’t shy away here. I’m brutally honest and I’ve seen that it makes a huge difference when I leave 100% honest feedback. Don’t hold back! Stick With it For a Few Fixes — It took several fixes for my stylist to really get what I liked. I’m very picky on the clothes I keep. Since I have a minimalist wardrobe, I have to really love a piece of clothing to keep it. As the stylists learn your fashion tastes and what you don’t like, they will do a better job choosing for you. After I had done several fixes with them, I noticed that they were sending me fixes that were much more in line with my style. It’s insightful to fill out your style profile! It helps you think through what you love and what you don’t love. It’s fun to anticipate getting a box in the mail! It’s fairly rare that I get to open and go through a mystery box, so looking forward to the box makes the experience more exciting! Since I don’t enjoy shopping, I love getting a box of pre-chosen clothes in the mail — SO much easier than going shopping! Plus, I loved being able to try them on my own bathroom, see if they match items I own already, and decide whether I want to keep them or send them back. It’s great to be challenged to try new things. Many of the items they send are styles I wouldn’t pick off the rack at the store, so it’s great to have the opportunity to try on new and different styles. It’s caused me to be a little more adventuresome in what I wear. Sometimes, it seems like they don’t look at your style profile carefully — or they are limited on options they have to send in your size and preferences. I’ve had a few times where I wondered if they stylist even so much as glanced at my profile because what she sent was so, so different than what I was also disappointed because I had been very detailed in exactly what I was looking for. The prices at Stitch Fix are going to be much more than you’re going to find at the thrift store or on the sales rack. This service is designed specifically for women aren’t on a extremely tight budget who want to dress fashionably without spending a lot of time shopping. For busy working women, it could be a lifesaver. However, I think you need to be somewhat adventurous for it to work well for you. Read My Completely Honest Review of Stitch Fix here and read Why I May Have Changed My Mind About Stitch Fix here. To be brutally honest, this service seems like it’s taking a big risk if you aren’t lucky enough to get free credit for recommending it to people. I can’t imagine spending $20 to get nothing for it. I’m a little curious why you keep trying it over and over again when it seems like you’ve had little luck picking items. I’ve actually had some GREAT experiences with it — you can see one of the pair of shorts I got that I LOVED here: I usually keep at least one item from every one of my fixes and a lot of the shorts and jeans I wear are from Stitch Fix. I’ve shared some of my other unboxing on FB Live and I’ve gotten SO many questions that I wanted to do an updated post with updated information since so many people have asked for more details and it’s been awhile since I’ve done a post. I’ve only sent everything back twice, actually, if I’m remembering correctly. But I want to be really, really honest in my posts so that I’m not promoting it in a way that might hype it up to be something that it’s not. I have tried Stitch Fix and love it. However, it is a lot of money to invest in clothing at one time. I decided that I just cannot afford $50 an item. However, I do see myself using it again if I am unable to find any clothing through Thred Up or in my local community, just not on a regular basis. I love the clothing and convenience of it! It would be more affordable to just buy one item but I usually love everything in my box and it is tempting especially with the discount not to buy the whole box. Lol. When I’ve looked at some of the styles I’ve decided it probably isn’t for me. I also have a fairly minimalist wardrobe and have two go to stores that I can order online. I have however recently came across a service that puts together outfits that you can buy and may give that a try. Probably the one benefit of using a service like this is the put together look you can achieve. I’d love to know what company puts together the outfits and what your experience is like if you try it! I just got my first box yesterday. I was so excited. I don’t buy a lot of clothes. If I do, they are the same style and color and wanted help in trying new things. I got a pair of jeans that I loved. They are so comfortable that I could sleep in them and they fit perfectly. I also kept a dressy shirt. i returned 3 items. The necklace that was in my box in my opinion looked cheap for the price and had a tassel. Not my cup of tee. I am looking forward to my next box next month. Yay for a pair of jeans that you love!! I tried it & really disliked it. Maybe my hopes were set too high, but the clothes were not me at all. They had sent black for summer clothes (? ), the pants they sent were way too short though I told them my inseam/size/height, etc. Basically, for me, it was a waste of $20. I wouldn’t mind the cost if it was for clothes I liked, but I really didn’t. I had given what I thought were specifics as to what I liked/didn’t like & I had posted on Pinterest outfits I liked. I wouldn’t try it again unless it was completely risk free like you had. I’ve heard a lot of other people like it though & I’m glad it worked out for them. When I started up again after my pregnant weight was gone, I got a different stylist and it was summer instead of winter. Being a modest, conservative type, I specifically requested shirts that had sleeves and were not see-through. (Who wants to layer when it’s 100F outside?!). They looked at those comments because they mentioned them in my note from stylist, but still sent me everything I asked NOT to receive! I sent everything back and left negative commentary on the fix review and sent the company an email. (All my commentary was polite – I’m not a troll!). No response at all! I won’t be using them again which is sad because I would buy my complete fix every month if it meant I never had to go shopping again! Thanks so much for sharing your honest experience! I really appreciated this feedback! I’ve enjoyed reading your posts about Stitch Fix. It doesn’t currently work for our budget but I’m keeping it in mind for when I return to work someday! I’m so glad you’ve enjoyed these posts! I so wanted to try stitch fix. One of my co-workers purchased from them and I really like what she ended up with. I am a more curvy woman and the service didn’t offer anything at all in my size. Therefore, I haven’t been able to try. After the reviews, I think I may be okay with that. I’ve heard that they are going to be offering more sizes in the near future! I have used Stitch Fix for over a year now. I absolutely love the ease of the service. Even if I send everything back, it’s still $20 well spent. How many times have I gotten a babysitter, gone to the mall to find nothing, and wasted the whole afternoon?! That’s more than $20 right there. I have been INCREDIBLY disappointed with my last few fixes. The quality of the SF branded clothing has gone waaaaayyyyyyy down. I have shirts that are unraveling and shrinking even though I hand wash them. In fact, I am going to send an email today about a dress that shrank after hand washing. Their name brand clothing (Kut from the Kloth, etc.) has been fine, of course. That’s frustrating that you’ve experienced that. But I so appreciate you sharing your honest experiences. I have been using stich fix for over a year and I love it! The last two boxes I have kept everything in it. My stylist knows what I like and were to try something new and most times I love it. One thing is that I use Pintrest ALOT so holly can see what I am loving for the season. In fact most of my clothes are from stich fix. I’m SO glad to hear you’ve had great experiences! Thank you so much for sharing! I’ve really enjoyed stitch fix. I’ve been blessed with some gift cards for Christmas and my birthday which helped me get some cute maternity clothes. I think if I didn’t work it wouldn’t be worth it because of the cost, but I’m happy with the quality pieces I’ve received. I tried Stitch Fix twice and was disappointed both times. After the second time I asked that the styling fee be refunded since it was clear they weren’t at all paying attending to either my style board on Pinterest or my specific requests (i.e. no sleeveless tops or dresses which resulted in them sending me a box with four sleeveless items). At first they said no but I’ll give them credit that when I pushed they eventually refunded the fee. That was nice of them. Although it did irritate me to be told I needed to increase my price points when I said that $70 was too much to pay for an acrylic cardigan or a rayon long sleeve tee. After my experience I came to two conclusions about Stitch Fix. The first is that there really is one Stitch Fix style. Even though there are multiple options on the style profile they have you fill out, looking around the internet for blog articles about Stitch Fix it’s clear they aren’t offering clothing of vastly different styles. The clothes are cute if they fit you well (which they didn’t for me) and if they are your style but there really aren’t as many options as they have you believe. The second is that bloggers who write about their experiences are getting different clothes than the rest of us. Maybe I’m being unfair but both times I scoured the internet to see what was in other people’s boxes and found the clothes to be much better than what I was given. Especially the first box where it seemed like they hadn’t even glanced at my style profile. I can see why people like Stitch Fix but after trying them twice I became disillusioned and gave up. I just appreciate the fact that you are so real and honest about your experiences and don’t just sugarcoat – or lie – to make money. I read several blogs and feel that’s how they operate. I love Stitch Fix as well as my daughter. I hate shopping, I hate trying stuff on in a store, this works well for me. I’m hard to fit due to my chest size (38DDD) and I like to dress creatively, but professional. I’m always getting pieces that I feel great in. I’m very specific. I love my stylist, I had others at the beginning that were trying to dress me like an old lady, this one gets it, and I put in the note not to switch me, even if a fix didn’t work out (often due to my chest size, not the style.) She’s styled me based on activities I tell her about such as vacations, seminars or business trips and she did an awesome job when I broke my ankle, (cute pants that fit over the cast and over-the-shoulder bags to use with crutches.) I’ve only had a piece or two that I ruined washing the wrong way by accident. I agree with your comments here Crystal. The price points are higher than I would normally pay, but with 7 kids, getting out shopping is SO difficult that I find myself with no decent clothing from time to time. I use Stitch fix to supplement my frugal thrift store finds. My fixes have been hit and miss, but I have some pieces that are now among my absolute favorites. Is it a one time stylist fee or do you pay it with each box? i just received my first fix and I love it! I’m going back to work after home schooling for 15 years and really need everything. I did spend lots of time answering the questions, left extensive notes for the stylist and set up a pintrest board. There was only one piece I wasn’t crazy about, but I would wear it and I wanted the 25% discount. They sent a pair of Cole Haan pumps that I absolutely LOVE, and I thought price was good. I live in a small town and am 1 hour away from a mall AND I hate to shop, so I I hope Stitch fix works for me! Thank you for your review Crystal…it really helped me. The first box I got I was surprised at the expense and didn’t realize I was going to lose the $20 if I sent everything back. I wish I had kept the jacket. Lesson learned. The last two boxes that I’ve gotten I’ve loved. I am a stay at home mom and shopping with kids is not easy. My husband is actually the one who told me to spend the money. So it’s my splurge on myself. I rarely spend that kind of money on clothes, but my stylist clearly looks at t Pinterest board and profile so I’ve loved almost everything. I tack the cards on the wall in my closet for future ideas. It’s really helped me have some confidence in styling. 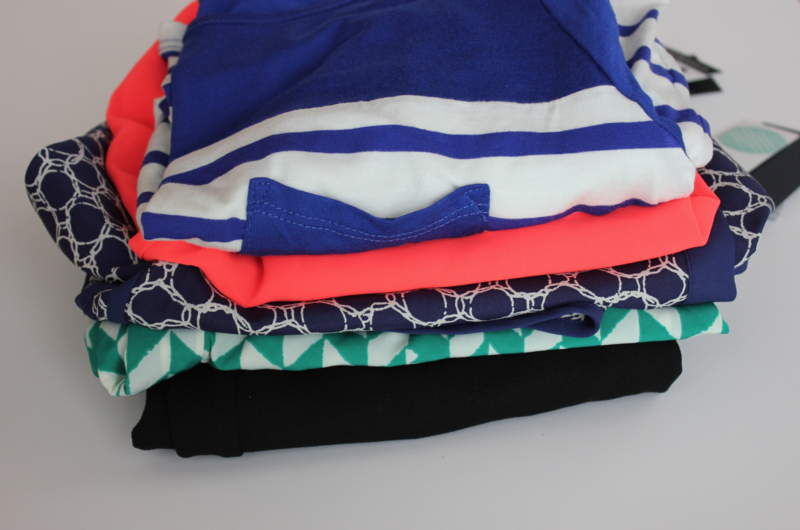 I got my first Stitch Fix earlier this year and although this is an old post I hope I can share my experience. My first box, I kept a dress and a pair of jeans. I wore the dress for Easter and love it. The jeans, I wore for a month and realized that they looked sloppy and were not worth the money I spent on them. I wrote to the company and they were happy to refund me the money and sent me a prepaid label via email that I printed. It didn’t cost me anything to send them back. My second box came and I was EXTREMELY disappointed. I had asked for no sleeveless blouses and all 5 items in the box were sleeveless. I sent it all back and wrote a detailed letter. They apologized and credited me the $20 for my next fix. Since then, I wore a pair of shorts for a few weeks and decided I needed one size smaller. They didn’t have them and they offered me a full refund and sent the prepaid label. I think they have Excellent customer service. I asked for a cold shoulder blouse this last time and I got one. I can usually only afford to keep one item or two but it is so fun and helps me build a couple of quality pieces. Thanks, just wanted to share.